We specialize in apostille and embassy legalization services in the State of New York and nationwide, for personal and corporate documents intended for foreign use. Foreign Documents Express is a registered service provider with the New York Secretary of State - we provide document attestation, document authentication, New York apostille services, U.S. apostille services, and U.S. certification services. New York apostilles for Manhattan, Brooklyn, Bronx, Queens and Staten Island birth certificates is the most popular apostille service as most people have this type of certificate. 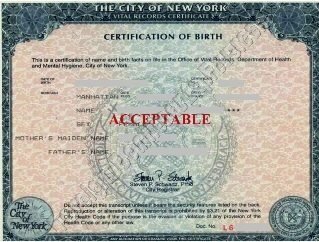 We can get an apostille for a Manhattan birth certificate, Brooklyn birth certificate, Bronx birth certificate, Queens birth certificate, and Staten Island birth certificate. We do them all, short form or long form, birth certificates with or without exemplification letters, recently issued and old. These certificates are issued by by New York City Department of Health and signed by the City Registrar. The current City Registrar is Steven P. Schwartz, all birth certificates bearing his signature are eligible for an apostille. If you still want to check, you can email a copy of your birth certificate for a free document evaluation, to make sure that your document is eligible for an apostille or embassy legalization before you send the original to us. If you do not have an original birth certificate or need a more recent copy, there are two options: (a) you can order a certified copy from the New York City Department of Health, or (b) through a company called VitalCheck. No other agents are allowed Read more about apostile sevices for New York City birth certificates (short, and long, exemplified and non-exemplified, recent and old. Also read our article about exemplification letters: is an exemplification letter necessary for getting a New York apostille?. 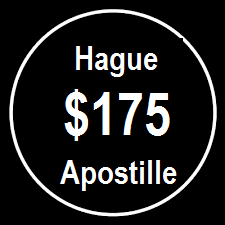 Our apostille price is most competitive, only $175 per document. Please send the original to us and we will get it apostilled! 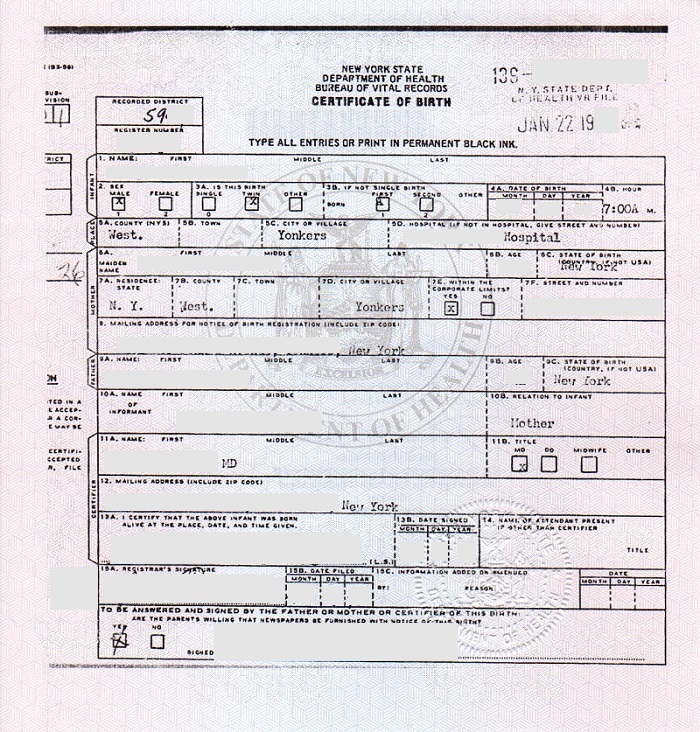 New York apostilles for birth certificates issued outside the five boroughs of New York City. These birth certificates can be issued by the New York State Department of Health in Albany or by a local registrar. In this case a free document evaluation is very important especially if your birth certificate is signed by a local registrar. Before submitting the document for a New York apostille, it needs to be authenticated on the county level. And different counties have different requirements. Some counties, e.g. in case of Westchester birth certificates or Nassau birth certificates, do not accept old documents for authentication, therefore it is not possible to obtain a New York apostille for an old birth certificate from Westchester of Nassau county, as the first step of the apostille procedure cannot be completed. Other counties, e.g. Suffolk county, attach a special exemplification page to a birth certificate, and only after that it becomes possible to obtain an apostille. 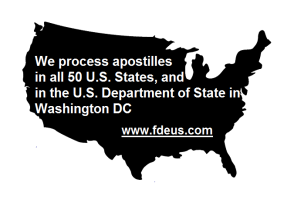 If you were born outside the five boroughs of New York City and document is not eligible for an apostille or embassy legalization, we can get a certified copy from VitalCheck or we get one for you, and then have it apostilled or legalized by a foreign embassy. New York apostile for marriage certificates issued in Manhattan, Brooklyn, Bronx, Queens, and Staten Island. These marriage certificates are issued by the Marriage Bureau. Not all of them are eligible for the legalization by an apostille or foreign embassy. Why? Because most certificates are issued for use in the United States only. If you paid $15 for a certified copy of your marriage certificate, and the certificate does not have the names and places of birth of the parents of the parties, if there is no color stamp and no original signature of the Acting City Clerk, then your marriage certificate cannot be apostilled / legalized. A new extended certified copy needs to be ordered first. We can obtain a new certified copy of the marriage certificate for you and have it apostilled. And we can do it fast. The whole procedure takes 2-3 business days. We can also ship the document anywhere in the world. Before the apostilled marriage certificate is shipped, we usually email a scanned copy of the document, so if you need to have the document translated in the country of intended use, you can do it while your apostilled marriage certificate is on its way to you. New York apostille for a marriage certificate issued by the NYS Department of Health in Albany or by a local registrar. If you marriage was registered outside the five boroughs of New York City, your marriage certificate will be issued either by a local registrar or by the New York State Department of Helath in Albany, NY. These marriage certificates can be apostilled as well, or legalized by a foreign embassy. In case of locally issued marriage certificate, you will absolutely need to email a scanned copy first for a free document evaluation. As a part of the New York apostille /embassy legalization procedure, locally issued marriage certificates must be authenticated by the county first, and the requirements may be different. Some counties do not authenticate old marriage certificates, others check if the signature of the local registrar is still on file with them. If you do not have a certified copy or need a more recent one, you can order a new certified copy of the NYS marriage certificate with an apostille or embassy legalization online. We request certified copies from the NYS Department of Health in Albany. The processing time is longer than in case of New York City marriage certificates. The retrieval can take up to four weeks, and this is expedited. New York apostilles and embassy legalization for all kinds of New York death certificates. We obtain apostilles and provide embassy legalization for all kinds of death certificates issued by New York City Department of Health and Mental Hygiene, New York State Department of Health in Albany, death certificates issued by local registrars. New York City death certificates can be apostilled / legalized if they are signed by cureent City Regisrar Steven P. Schwartz or one of the following former registrars: IRENE A. SCANLON * EARLENE PRICE * IRWING MELLON. They can come with or without exemplification letters, for apostille purposes an exemplification letter is not required. If you do not have an original death certificate or need a more recent copy, there are two options: (a) you can order a certified copy from the NYC Department of Health, or (b) through a company called VitalCheck. no other agents are allowed. If the death certificate you need to legalize is issued by a local registrar, it is very important that you email a scanned copy of the document for a free document evaluation. It might or might not be eligible for an apostille. Our document evaluation is free as compared to many other agencies that provide evaluation for a fee. New York apostilles for divorce judgments issued by county courts in all New York counties, and for New York divorce certificates issued by NYS Department of Health. In New York State there are two kinds of documents evidencing the fact of divorce. 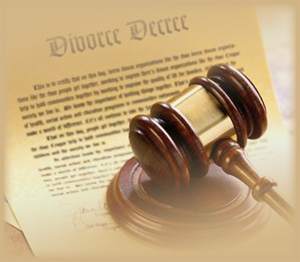 Divorce records are kept in the files of the courts where the divorce was registered. Upon request, the court will issue a certified copy of the divorce judgment, and this certified copy will be eligible for the legalization by a NY apostille or foreign embassy. The first step in the legalization procedure for court issued divorce records is always the county step. Requirements differ from county to county, so it is very important that you email a copy of your document for a free document evaluation first. Then, if the document is acceptable, we will ask you to send the original to us by mail. NYS Department of Health also keeps records of divorces registered in the state. However, NYS Department of Health only issues Certificates of divorce. These certificates provide the basic information about the divorce, including names of the parties, date and place of the divorce. We can also obtain certified copies of the divorce documents from the courts in all New York State counties, and from the NYS Department of Health. Plese contact us. We service individuals, corporate and government agencies, offering the guarantee that your documents will be processed by the highest standards, and in a timely, secure and confidential manner. We understand that your documents are valuable, and you want to know they are in safe hands. Read more about our New York apostille procedures. We authenticate documents from all 62 counties in New York State including the five boroughs of New York City (Manhattan, Brooklyn, Bronx, Queens, Staten Island). The most popular counties we receive documents from are: Kings county (Brooklyn), Bronx county, Queens county, New York county (Manhattan), Nassau County (Long Island), Suffolk County (Long Island), Westchester County, Richmond County (Staten Island). The most popular cities we receive documents from are: New York City, Albany, Syracuse, and Buffalo. Apostille manhattan or apostille nyc: can mean either apostilles for documents from New York county or apostilles obtained from the Office of the Secretary of State in Manhattan. 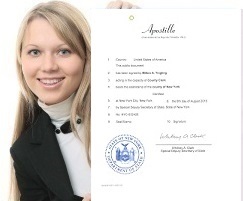 Apostille brooklyn ny or kings apostille: New York apostilles issued for documents originating from Kings county. The processing time for Brooklyn apostilles is 2-3 business days. Apostille queens: birth, death, marriage certificates if the event was registered in Queens, and also for documents notarized by Queens notaries. Apostille long island: apostilles for documents that originate from Nassau county (nassau apostille) and Suffolk county (suffolk apostille) in Long Island. The processing time is 4-5 business days. Apostille buffalo or erie apostille: Apostilles for documents originating from Erie county, e.g. personal and business documents notarized by an Erie notary public or Erie vital records. The mailroom will be accepting mail (including FedEx, DHL, UPS, USPS, etc. ), and we will start the processing of all orders received during this time, on Monday, April 29th. All kinds of NY documents. Our guarantee: 100% refund if we are not able to apostille your document(s). No service fees. BIRTH CERTIFICATES: Manhattan, Brooklyn, Bronx, Queens, Staten Island. No exemplification letter required. MARRIAGE CERTIFICATES. Certified copies. 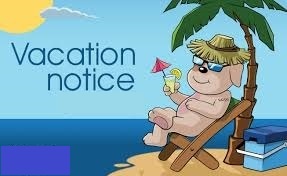 Apostilles and embassy legalization. Order online. CRIMINAL RECORDS: New York statewide. No fingerprints required. Order online. Powers of attorney. Affidavits. Consents. U.S. residency certification for 2019. Does the government shutdown effect the application? How to apostille a transcript? Is a short form birth certificate eiligible for an apostille? How to get an apostille for a corporate resolution? Looking to verify a New York notary public is active? Copyright © 2019 Foreign Documents Express 2008-2019. All Rights Reserved.